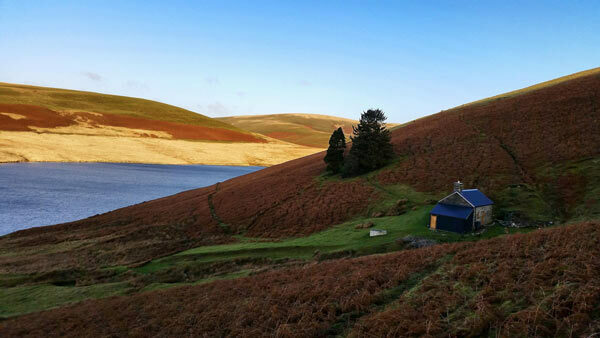 Interested in staying in a bothy? One of my favourite parts of long distance hiking is visiting bothies along the way. I spend a lot of time looking at maps and deciding which bothies I'd like to visit next, and then planning a trip round those destinations. For those who don't know much about bothy life, here's a quick Q&A about what a bothy is, and why your next hiking trip should include a bothy visit. Well, in a nutshell a bothy is a wind and watertight shelter. It could be a disused farmhouse, or an old shepherds hut. It could just be an old stable. What a bothy isn't though, is a holiday home or hotel. Think rustic. Whilst some bothies may have luxuries such as sofas or the odd armchair, the majority are unfurnished. They don't have central heating or electric, they don't have a shower and the majority don't even have a loo! They always have an open fire or woodburning stove – ideal for drying wet socks but don't expect it to be toasty warm. An insulated jacket is a must, particularly in the winter. How do I book a bothy? The simple answer here is that you can't. You just turn up. You may get the place to yourself, you may find yourself wedged in with 20 strangers. There's no guarantee of room at a bothy so you should always take your tent/bivvy/tarp with you in case you need to sleep outside. What you can guarantee though is that no matter who is already there, you'll get a warm welcome and fascinating conversation will follow. Who looks after the bothies? The majority of bothies are maintained by the Mountain Bothies Association. They manage around 100 bothies across the UK, with the majority in Scotland. Although it's free to stay at a bothy, you can join the MBA for a small annual fee which goes towards the upkeep of bothies. The MBA also organise frequent work parties which you can go along to. See www.mountainbothies.org.uk for more information. You're expected to do your bit while staying at a bothy; take your rubbish out with you and whilst you can leave canned goods/wood/coal, don't leave perishables or anything to attract vermin. There's the practical side; you're sheltered from wind and rain, always a bonus, especially if you're planning a winter hiking trip. And then there's the fun side; you never know who you might meet. I spent a wonderful New Years Eve in a bothy in Wales with my husband and a lovely chap named Dave, who shared a particularly tasty round of Brie with us. On a recent coast to coast hike across Scotland, the highlights of the trip were the evenings spent in bothies across the country, enjoying the craic with fellow hikers. So, I don't need to take any equipment to a bothy, do I? Well, you don't have to but you'll be pretty miserable! As previously mentioned, there's no guarantee of room for you to stay in a bothy. Most have space around them for tents to pitch, though be aware that there are some restrictions on the number of tents or where you can pitch. Always take a tent for back up, in case there's no room at the inn. Vango make a good range of lightweight trekking tents. Starting at just 1.7kg for a Blade 100, a tent doesn't have to weigh you down. You'll also need a sleeping bag and sleeping mat. Most bothies have sleeping platforms, but these are literally wooden shelves raised off the floor. In some bothies you will be sleeping directly on the floor. A good quality sleeping mat will help you have a good night's sleep. Bothies are not warm places – a sleeping bag will be required and assume that the inside of the bothy will not be much warmer than the outside when it comes to deciding what type of sleeping bag you need. Cooking equipment is also required. Make sure you pack a camping stove, camping pan and a source of ignition such as matches or a firestarter. All bothies are located near natural water sources for drinking and cooking purposes. Be sure to wash cooking equipment downstream from water collection points. Ensure that your hiking rucksack is comfortable when fully loaded before you go. Pack heavy items close to your back and keep essential items in easy to access pockets, or near the top of the rucksack. In short, you need all the same equipment as if you were going wild camping. Which bothy should I visit first? This is the exciting part! Have a look at the MBA website to see a map with all of the supported bothies on. Favourites that I've visited include Ruighe Aiteachain in the Scottish Highlands, and Lluest Cwm Bach in Wales. Firmly on my To Visit list are Kervaig, the most northerly bothy in the UK and Dibidil on the Isle of Rum. I can see this one with binoculars from the Isle of Eigg where I live, and it's calling to me. Some bothies are easier to get to than others. Lluest Cwm Bach, for example, is a 45 minute fairly easy hike in, whereas Kervaig is, I'm told, quite a slog. 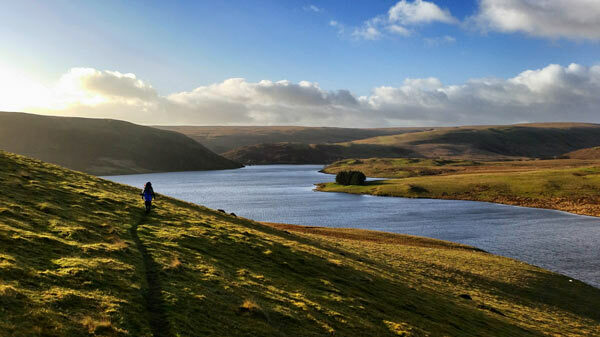 The amount of people you're likely to encounter depends on how difficult the bothy is to get to, so consider whether you're after a peaceful getaway or a chance to make some new friends. 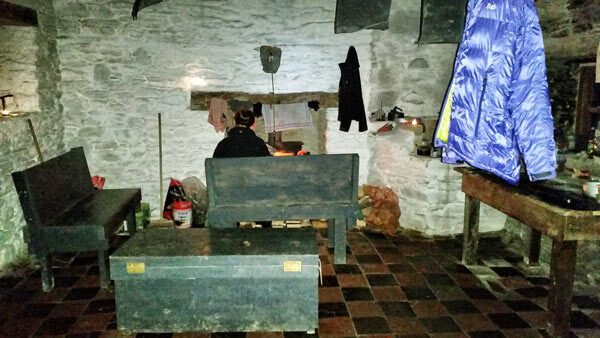 Be warned; the bothy life can be an addictive one. From your first visit, you'll fall in love with these simple structures and the locations they're in. Enjoy!